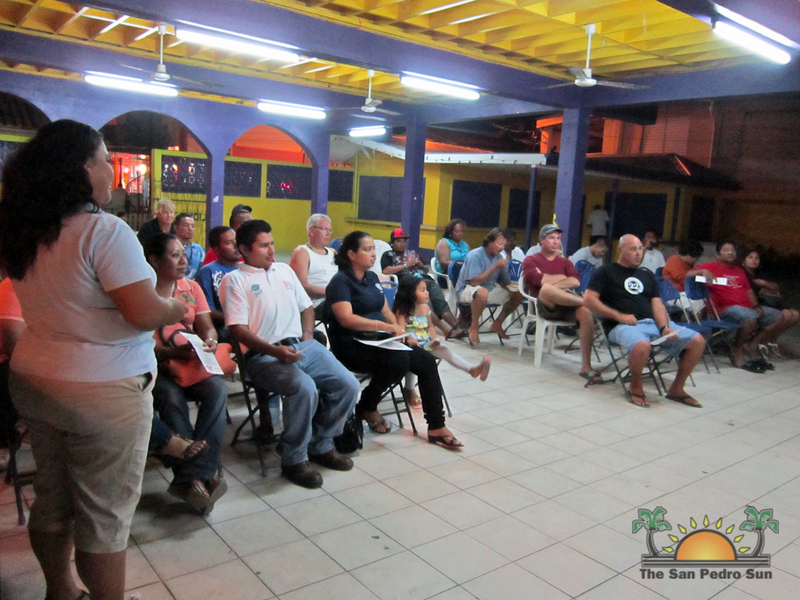 The Belize Lionfish Project held an Achievements Presentation on March 22nd at the San Pedro Lion's Den. 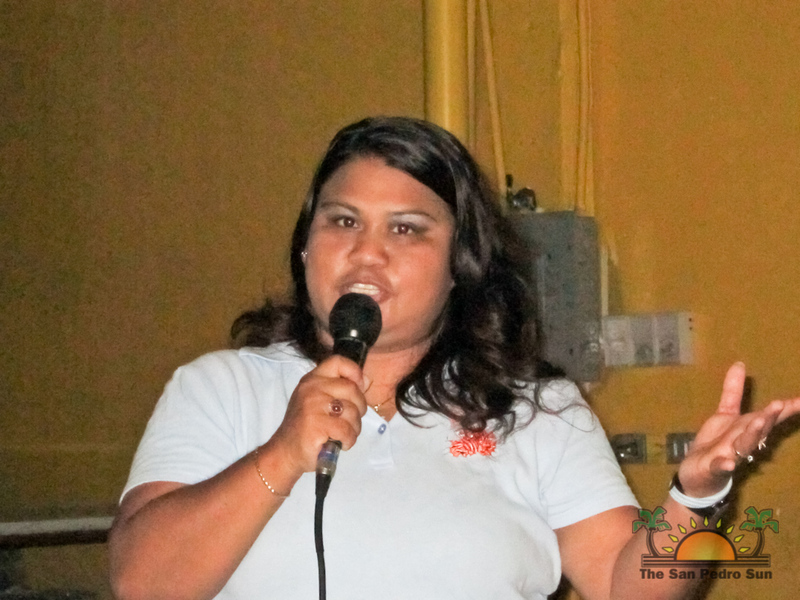 The ceremony was held to showcase the Belize Lionfish Project's achievements, as well as to recognize the great job that San Pedro's guides, fishermen and establishments have been doing in conquering the problem of the invasive lionfish. The event also launched the Belize Lionfish Project documentary on DVD. In attendance were Robbie Gonzalez of the San Pedro Tourist Guide Association, Miguel Alamilla of the Fisheries Department, Nadia Chacon and Linda Searle of ECOMAR, Leonel Requena of the Community Management of Protected Areas for Conservation Program, Nayari Diaz of Protected Area Conservation Trust and other guests. 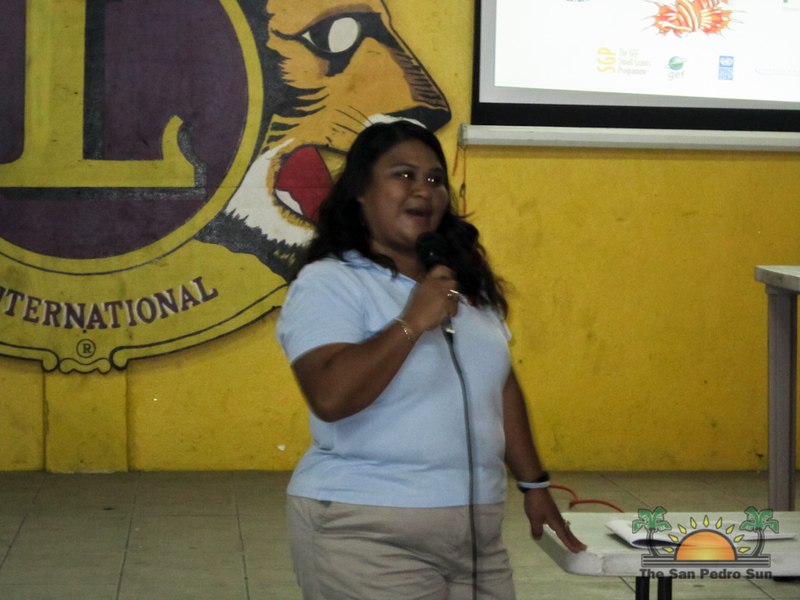 In speaking with The San Pedro Sun, ECOMAR Director Linda Searle said, "The Belize Lionfish Project was started in 2008 when the first lionfish was observed in Belize off of Turneffe. 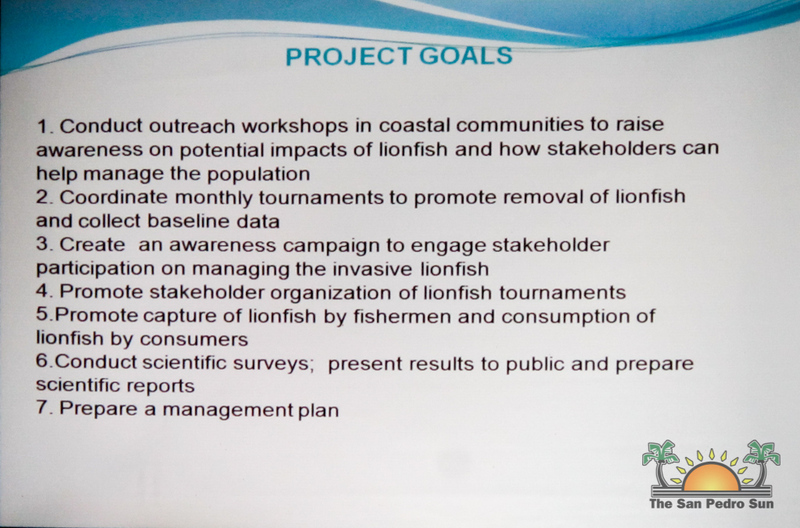 The project has really developed in an effort to manage lionfish. As you’re probably aware, lionfish are an evasive species and people are concerned that all of the native fish of Belize are all going to be eradicated. The lionfish will have eaten them all up and so the only fish that we’re going to have on the reef will be lionfish and we don’t want that because we like our grouper and our spiny lobster, and the other species are important to the health of the reef." 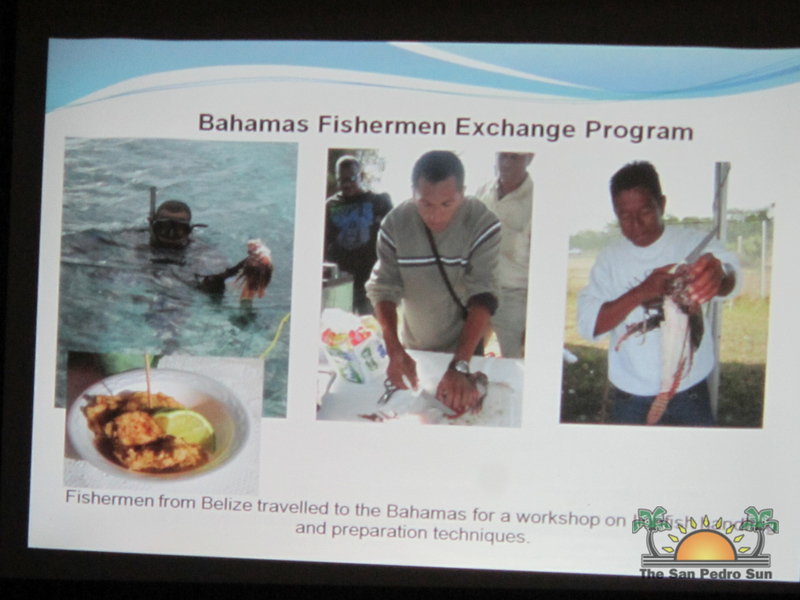 Since its inception in 2008, the Belize Lionfish Project has come up with various activities to combat the invasion of the lionfish. 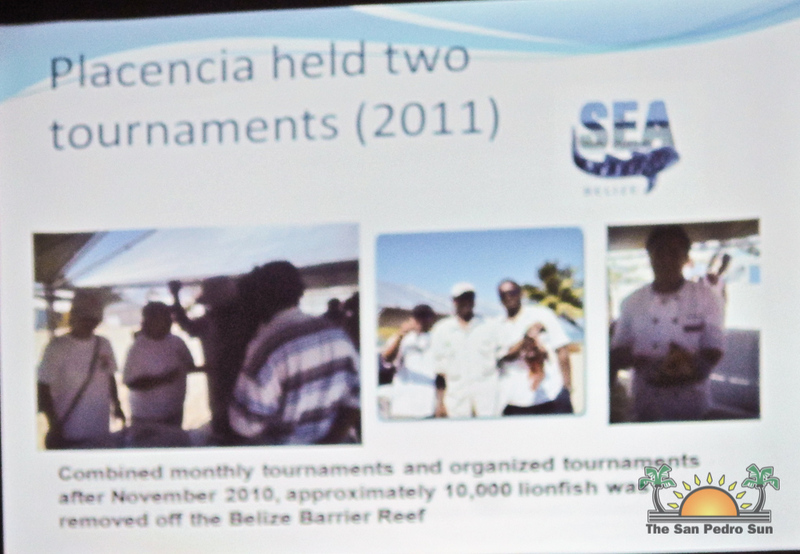 Searle commented, "We had to come up with different activities in order to manage lionfish and to keep their populations low and not let them get out of hand. 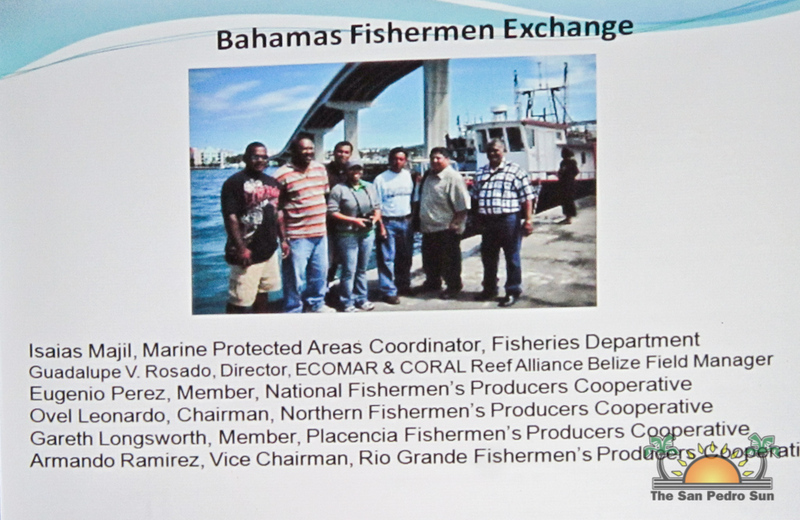 We’ve been working with a lot of different stakeholders, including the fisheries department and Hol Chan." One of the major undertakings that the project had embarked on was the organization of monthly lionfish tournaments throughout the country. 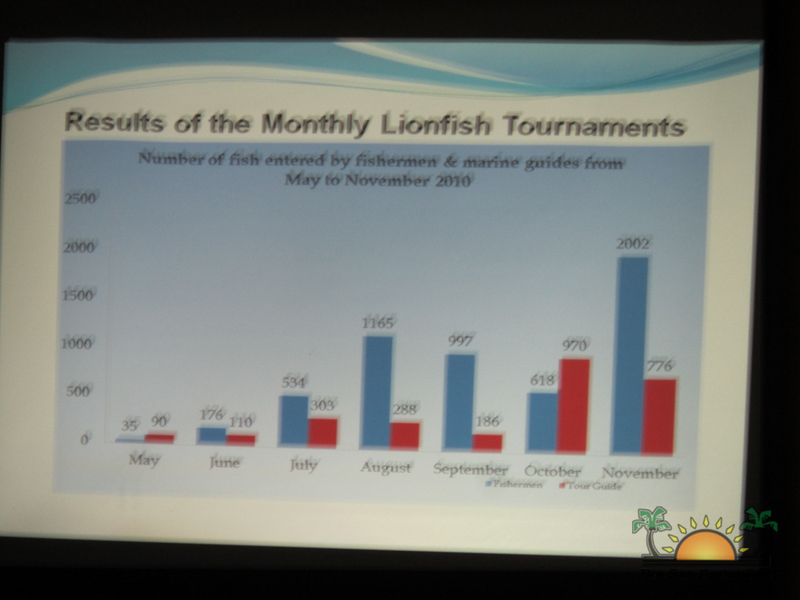 "Since 2010 we have organized lionfish competitions. The dive centers out here on San Pedro, especially the marine guides are taking the lead in all of Belize compared to the other guides. They're keeping their reef free of lionfish, so they're doing a really great job." Searle complimented Wahoo's Lounge for the work they have been doing with organizing Lionfish Cook-offs by encouraging the consumption of lionfish. 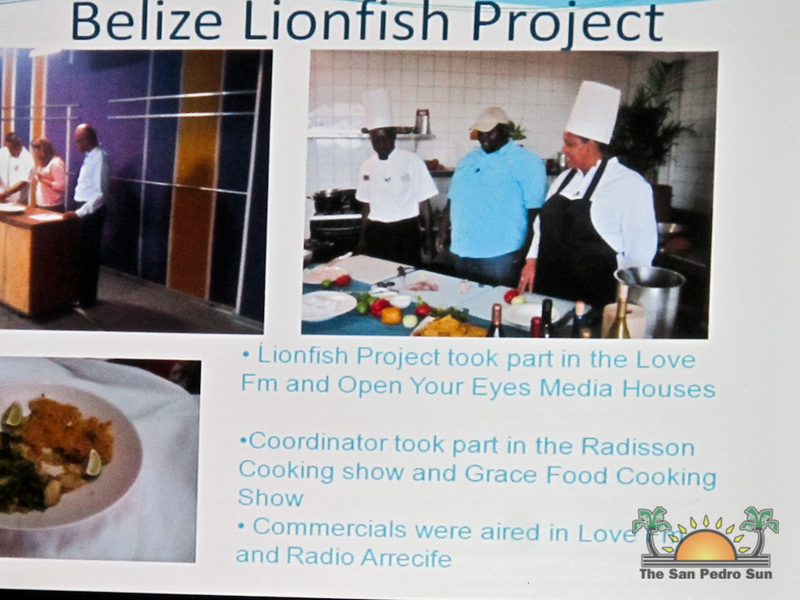 The Lionfish Project also issued 62 special Lionfish hunter cards to tour guides and fishermen on the island. 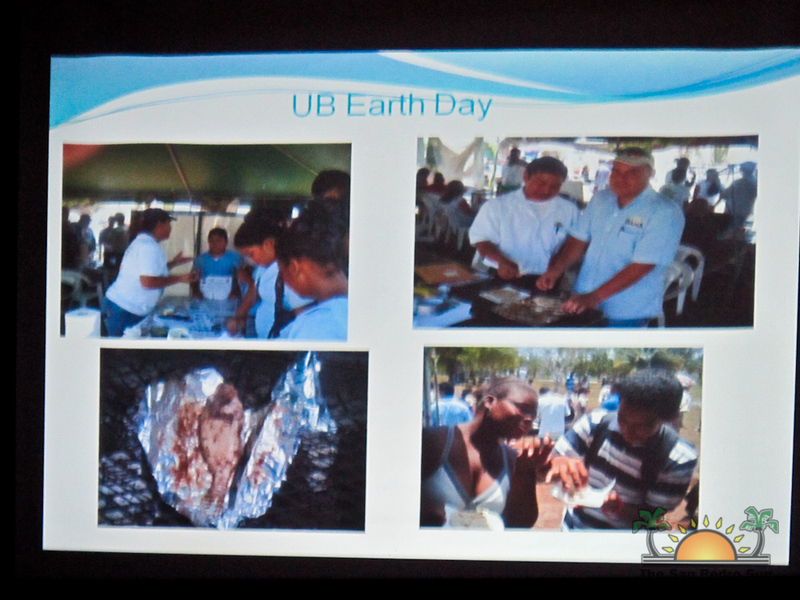 "The other thing that we've been working with the fisheries department on are to get these lionfish hunter cards. It's like an ID card that the marine guides can actually present if any of the fisheries officers might come up and inquire why they’re spearing." 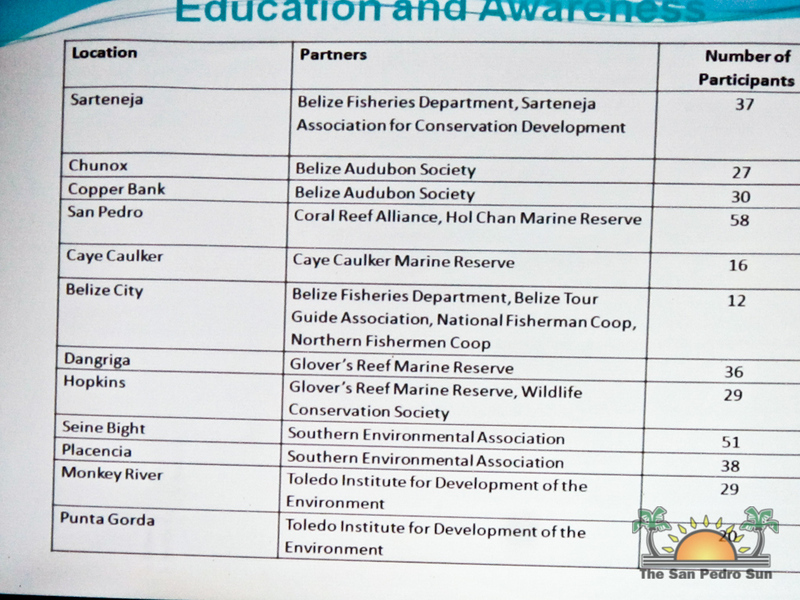 The cards are issued by the Government of Belize (GOB); giving the holder permission to use a spear while diving and to catch only lionfish. 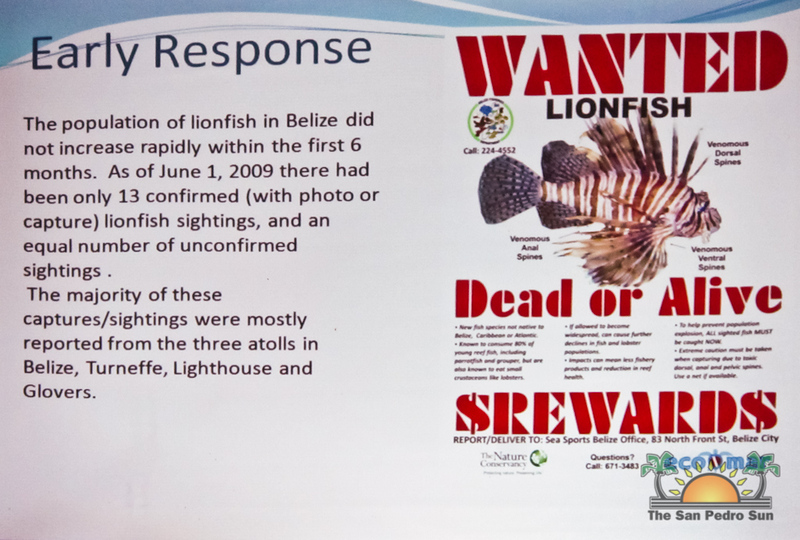 "It is very important for us to issue these lionfish hunter cards because some of the tourists that come to Belize don't like seeing guides killing the lionfish, but at the same time they're probably enjoy a fish dinner at a local restaurant. So that’s also something that the guides can use when they’re out there on their boats and they’re doing their briefing. They can say, well ya know, we have this problem with lionfish in our waters, so what we're going to do is we’re going to be catching some of them because we have to manage their populations. 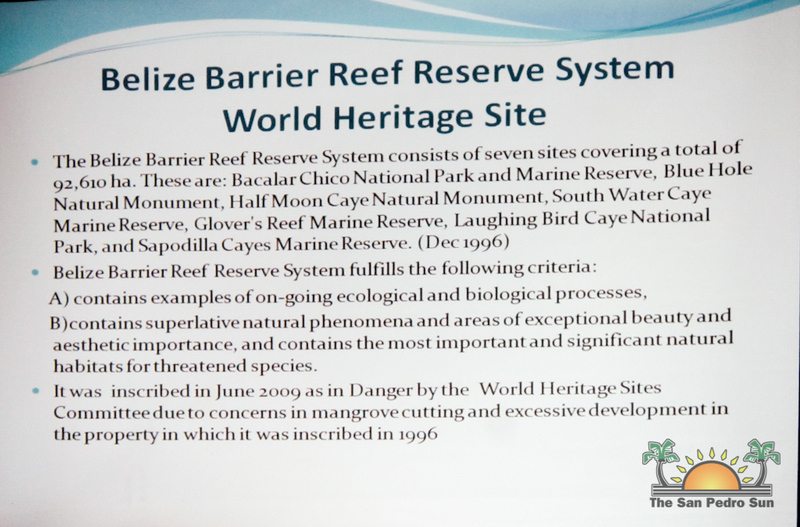 They can show their lionfish hunter card, where the GOB through the Belize Fisheries Dept is actually giving them permission to do this." 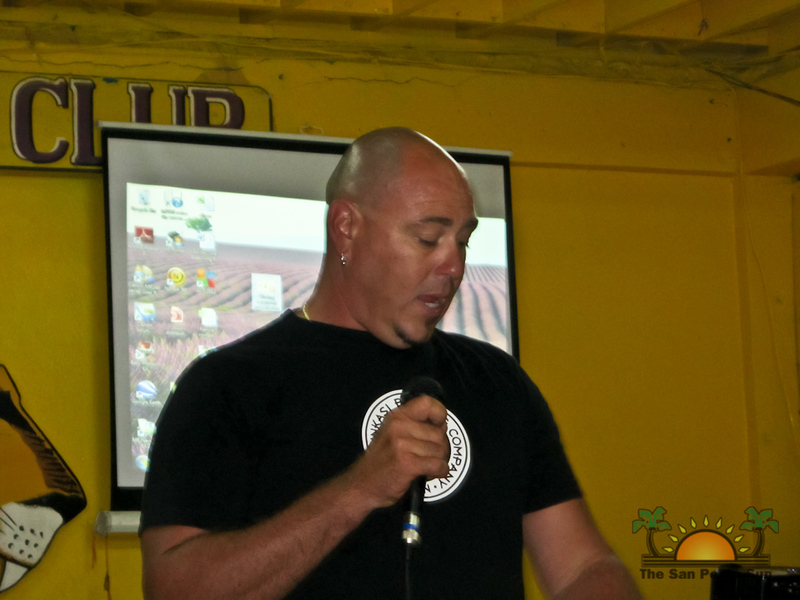 The DVD "The Belize Lionfish Project: A Local Response to a Regional Problem" was launched at the meeting. 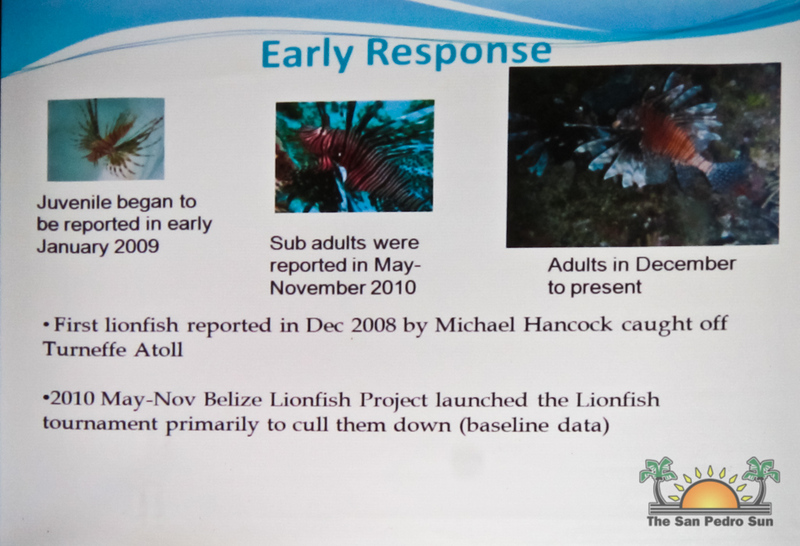 The DVD documents the history of the lionfish in Belize and shows how all the various stakeholders have been working together to manage the lionfish. 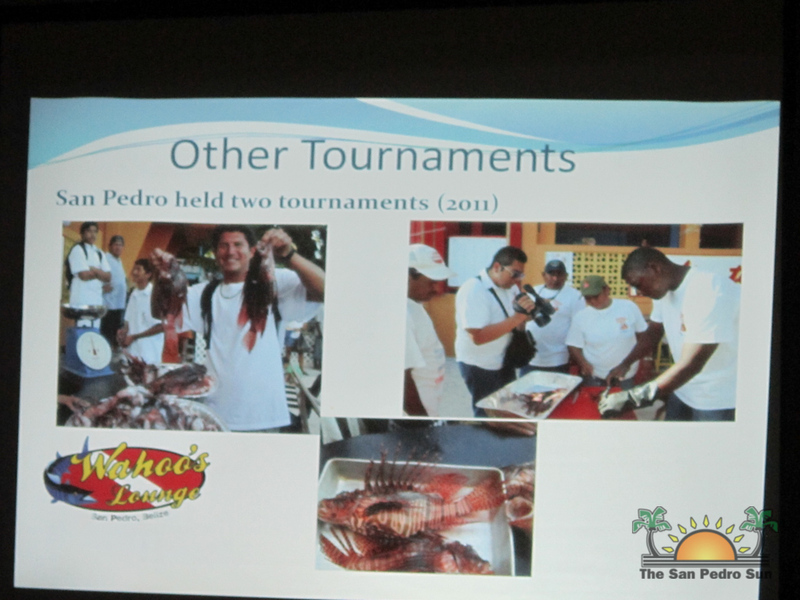 The award for the guide that caught the most lionfish was also presented and went to Rudy Duran of San Pedro. As to how we can do our part in contributing to ridding our reefs of the lionfish, Searle stated, "Eat lionfish. Ask for it at your restaurant. What we really need to do is to help develop a market for lionfish so that the fishermen can go out and catch it and then bring it to the restaurants and sell it. There's a lot of lionfish out there but without the market, without the people asking for it, lionfish is not going to go away, we want them to overfish lionfish. 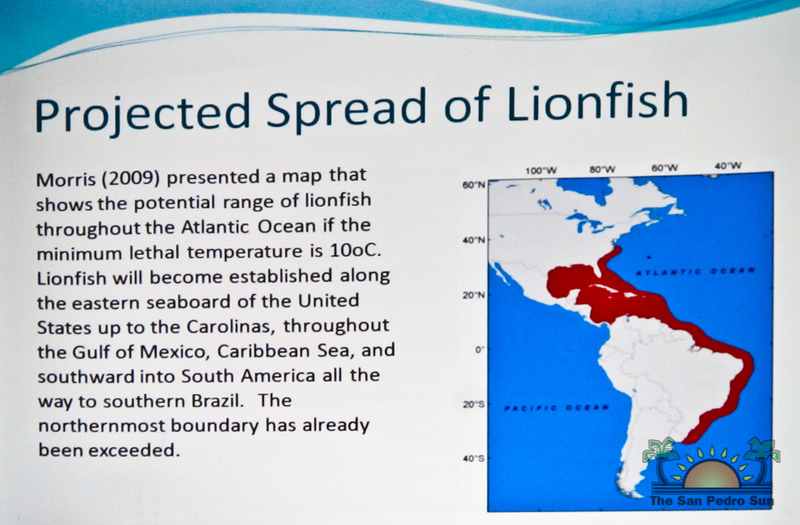 When properly prepared, lionfish is not only a delicious fillet but it is completely safe to consume." The San Pedro Sun applauds the efforts of all those who are committed to controlling this invasive species. 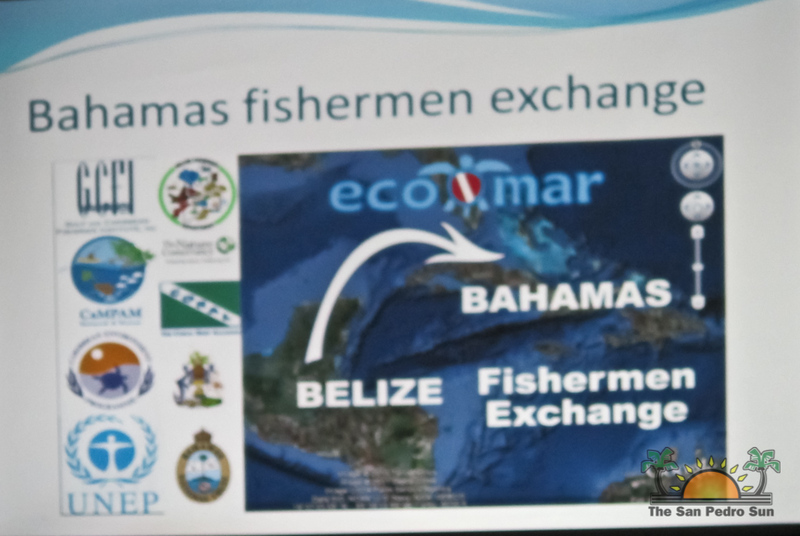 For more information on The Belize Lionfish Project visit http://www.ecomarbelize.org.